The days are counting down till grave disaster befalls us all. No, not finals week. I’m talking about THE END OF THE WORLD (exclamation point, exclamation point), which as everyone knows will happen this Friday, December 21, 2012, when the stars align and dread Cthulhu will rise from his sunken tomb-palace of R’lyeh and cover the world in the mad ecstatic darkness of the Great Old Ones. I mean, obviously. Let’s be serious for a moment: nothing dire is going to happen on December 21st. Rest easy. But in celebration I’ve decided to count down my top five favorite astronomical doomsday scenarios, ordered from most to least plausible. The Sun throws off a large CME (bottom), captured by NASA's Solar Dynamics Observatory (inner image of solar surface) and SOHO's C2 coronagraph (outer image). (Image credit: NASA/SDO). How likely: This one isn’t so much “death” as “inconvenience.” Coronal mass ejections (CMEs), events where the solar surface hurls a blob of high-energy plasma into space, happen all the time. 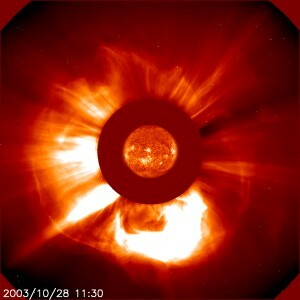 NASA estimates that during solar maximum (where we currently are) the Sun vomits up an average of 5 CMEs per day. Each year about 100 – 150 of them will strike the Earth. Most have no effect on things inside Earth’s atmosphere beyond producing pretty auroras; a CME dangerous enough to threaten human civilization is unlikely. But it is plausible. Would we survive: We’d be without power, probably for a while, but we wouldn’t be facing a real extinction threat. How likely: Small impacts are common in the Solar System – for instance, Jupiter gets hit by minor objects all the time. Based on statistical studies of cratering rates on the Moon, we should expect Earth to get hit by a 10 km impactor (the size that did for the dinosaurs) roughly every 60 million years. It’s been about 65 million years since the last one. But remember these are Poisson statistics and the random process has no memory. So no matter how long it’s been since the next impact, the expected time to the next one is still about 60 million years. 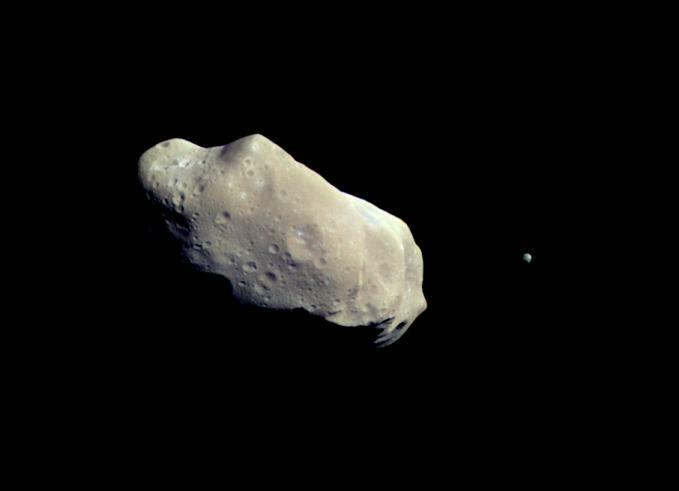 There’s a high probability that we’d be able to do something about an asteroid, though. While we may have once had serious fears of an unknown asteroid sneaking up on us, after decades of effort by NASA, Near Earth Object observers, and the WISE infrared telescope (which detects asteroids by their emitted heat instead of relying on reflected sunlight), we have most of the major bodies catalogued. Potentially dangerous asteroids are like cancer: the earlier you catch them, the easier it is to do something about it. Sure, it only takes one, but unless some catastrophe befalls civilization we have a good chance to see this one coming in time to stop it, via methods such as blasting it with nuclear weapons, ramming it with another object (as tested when the spacecraft Deep Impact rammed Comet Tempel 1), landing an engine on its surface to push it away, or just tugging it gently using gravity. What would happen: While this is the most plausible way for us all to go, it’s also the most boring. The direct casualty count depends on where the asteroid hit, but the real losses would come from starvation as the plume of dust and ash released by the impact poisoned the air and water. If the asteroid landed in water it would trigger enormous tsunamis; if it struck land, it would ignite massive wildfires all around the world as superheated material rained down. Global temperature would fluctuate wildly; first soot and ash would block sunlight and cause an “impact winter,” then carbon dioxide and water vapor would create a powerful greenhouse effect. The vaporized contaminants in the atmosphere would fall back as acid rain. Plants would die off and the effects would ripple up the food chain. Would we survive: Earth would be fine. Life would survive – as mammals clearly survived the extinction of the dinosaurs – and while humans are less resilient than, say, squirrels, we have our technology to rely on. I’d give us fair odds to survive in small, isolated groups and gradually rebuild civilization. How likely: Not very likely any time soon. Assume that we are looking for a long gamma ray burst, and that long gamma ray bursts are produced by the collapsar model involving the death of a supernova progenitor star. Milky Way supernovae are rare events on a human timescale. The estimated rate is 1 per 100 years on average; we haven’t seen one in 400, although one may have occurred on the other side of the galactic disk where dust would block our view. Nearby supernovae are even rarer. 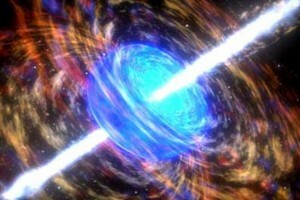 A few admittedly speculative models have concluded that a long gamma ray burst would have to happen within a few kpc of Earth to do real damage. Its collimated jets would also have to point right at us. The exact nature of the progenitor of long GRBs is still a matter of healthy debate, but for the time being we’ll assume it’s a star of >40 solar masses on the main sequence, of low metallicity, stripped of its hydrogen envelope and rapidly rotating. By now we’ve mapped out all the stars within the potential threat range that might go supernova in the near future and very few of them fit this description. The nature of GRB progenitors is still a matter of strong debate, stars are still evolving and the Sun is moving through the galaxy. In a few million years our stellar neighborhood will be very different. Then again, some authors have proposed that the Milky Way is too metal-rich to host any long GRBs at all. But if a nearby star did collapse and form a long GRB, and if that GRB’s jets did happen to be pointed at Earth, it could get messy. What would happen: Since the jets are relativistic and the gamma ray pulse travels at the speed of light, we’d have effectively no warning a GRB was coming. Gamma radiation can kill directly, by causing extensive burns and internal damage, or slowly, by causing DNA damage that would lead to cancer. Even if the direct exposure weren’t strong enough to kill us, though, it would have severe long-term effects on the Earth’s atmosphere. Ozone would be almost depleted, leaving us (and plants and animals) vulnerable to UV radiation, and large amounts of smoggy nitric oxide would be formed. The gamma rays could also produce a large spectrum of radioactive nuclides, giving us all the joys of fallout without the fun of nuclear war. Would we survive: Again, Earth itself will be fine. Humans? Maybe. Depends on how strong the pulse of radiation was. Mass extinction is likely, but life on Earth would probably keep going. Humans might not. 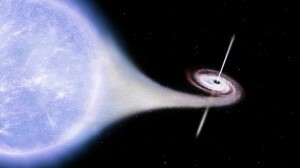 Artist's impression of Cygnus X-1, one of the few known stellar-mass black holes. (Image credit: ESA/INTEGRAL). How likely: We see plenty of other stars in our neck of the woods, but none of them are on a course to come near the Earth in the next 50,000 years. The danger comes from the objects we can’t see. It’s possible, though unlikely, that we’ve missed a cool, dim brown dwarf nearby, but the real sneak attack would come from a black hole. We’ve got a good handle on the supermassive black holes that dwell at the center of galaxies, but the populations of intermediate- and stellar-mass black holes are still an unknown. We can’t detect a black hole unless it’s either in a binary or actively accreting, so if one were flying around on its lonesome it would be nearly impossible to spot barring a microlensing event. If one of them zipped through the Solar System it could leave destruction in its wake. What would happen: We might see the black hole coming if it was massive enough to distort the motions of nearby stars as it approached. Unfortunately, unless we had some kind of travel capacity beyond the Solar System, there wouldn’t be anything we could do about it. Depending on how massive the black hole was, how fast it was moving, and what trajectory it took through the Solar System, it could do anything from simply perturbing the orbits of the planets as it flew by up to capturing the Sun and eating it bit by bit. Either way things would go very badly for planet Earth, let alone anyone unfortunate enough to be on its surface. Would we survive: No. Even in the best case scenario the disruption in Earth’s orbit would cause massive climate changes. Earth itself might not even survive. At least if we got swallowed by the black hole proper we’d finally know what happens inside. How likely: Well, first of all we have to assume that string theory is true. Essentially, string theory posits that there are many more dimensions than the 3+1 we normally encounter – anywhere from 11 to 26, depending on which branch of the theory you subscribe to. We don’t detect these extra dimensions because certain cosmic parameters conspire to keep them rolled up and hidden away from us. However, those cosmic parameters can take on millions of possible values, creating the string theory landscape – the manifold of all possible universes with all possible values of these parameters. In most of those universes these extra dimensions are not rolled up. 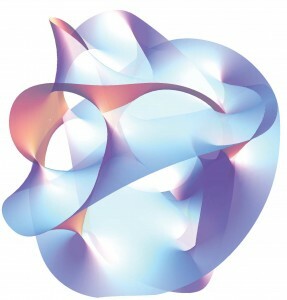 So our universe is just one of the many possible points in the string theory landscape. To get to disaster we have to additionally assume that the vacuum energy constant for our current universe is not at the lowest energy point in that landscape – a very reasonable assumption given that this landscape may contain as many as 10500 different vacuum states. That means the vacuum state of our universe is metastable. While it may be at a local minimum, it’s not a global minimum, so it can spontaneously decay to a lower energy state. If this decay happened at any point in our universe it would cause all neighboring points to collapse to the lower vacuum state as well. The horizon of the new vacuum state therefore ripples outwards at the speed of light, creating an expanding bubble. Inside this bubble the laws of physics would be different and likely quite hostile to matter, let alone life. What would happen: The laws of physics would instantly change. We would be torn apart at a fundamental level and completely cease to exist as the extra dimensions of spacetime unrolled. On the plus side, since the bubble expands at the speed of light, we would have literally no warning that this was coming. Would we survive: Not even the atoms of us would survive. “The end of the world” is hard to define. Taken literally we could say it means the destruction of the Earth. But Earth itself is difficult to get rid of. Planets are sturdy, and with or without its little cargo of squishy organisms there are high odds it will survive until the Sun enters its red giant phase 5 billion years from now. When we say “the end of the world” we’re more likely to mean the end of our slice of society. The truth is, humans are always convinced the end of the world is upon them. In every age for which we have recorded evidence we can find doomsday cults and prophets. I don’t know why; maybe it makes us feel special to imagine that we’re living in the end times. Maybe we don’t like the idea that the planet will outlast us. Or maybe we don’t like the idea that it’s going to change. All it takes is picking up a science fiction novel published 40 years ago to figure out that we as a species aren’t so good at predicting the future of our civilization. Perhaps the prospect of everything going up in smoke is more comforting than the sure and certain knowledge that whatever world our descendants inhabit, it probably won’t bear much resemblance to the current one. Still, if we have to go, I think I’d vote for the spacetime unraveling. There is no scientific evidence to substantiate the claim that 21st of december, 2012 will be the doomsday of the earth’s populace. Old era will come to an end while the new era will begin overnight!!!! What a horrible idea! The end of mayan calender means the end of the earth. Is it a valid argument? Still superstitions overwhelms human brain irrespective of phenomenal development in science & technology…..this a very sad thing i must say..